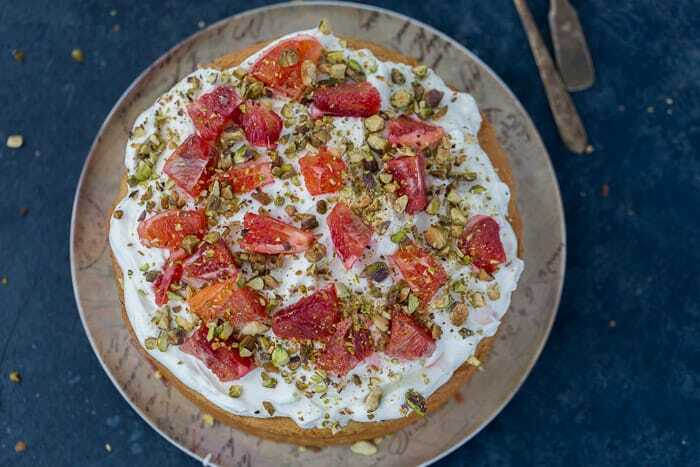 This rustic orange chiffon cake with swirls of pistachio and cardamon is one of the best cakes you will have. 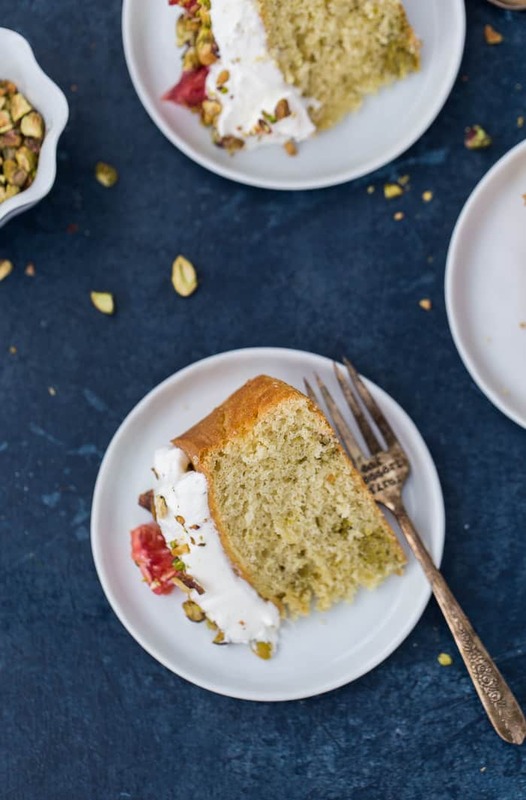 It’s a simple rich and moist cardamom spiced chiffon cake laced with swirls of pistachios. Hi friends, Happy Friday! I hope you’ve had a good week since we last spoke. I traveled to California last week, meeting with some blogger friends and visiting with one of my besties from graduate school. Even though the weather was typical California winter, it was still better than what I have here at home and I enjoyed a barefoot stroll or two on the beach on a nice 60 degrees day. Of course, I came back to two feet of snow and a reminder that I live in New York. 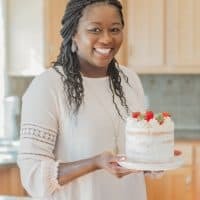 Enough weather small talk as I am super excited to share this special cake with you today. This orange chiffon cake with swirls of pistachio and cardamon is one of the best cakes I’ve tried recently. 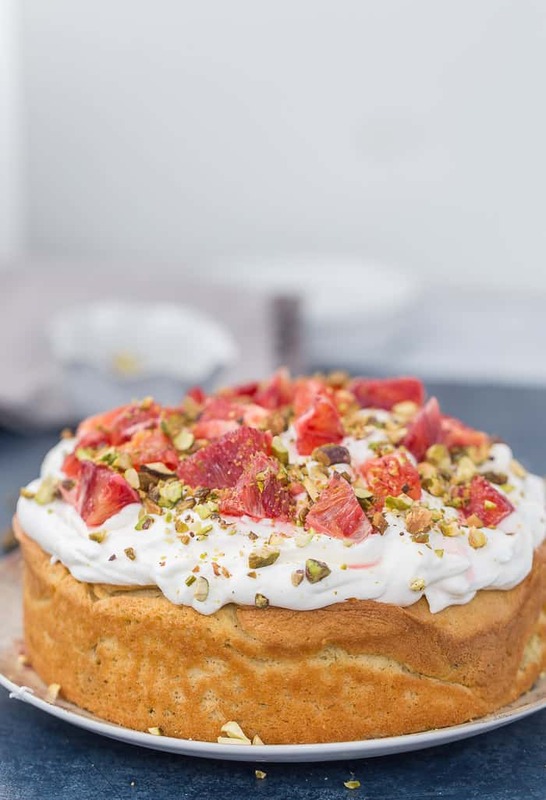 This lovely cake is from the incredible cookbook Masala & Meatballs: Incredible Indian Dishes with An American Twist by Asha of Food Fashion and Party. I’ve known Asha for many years and followed her blog even longer where she shares classic Indian meals that are delicious, healthy and flavorful. She brings this authority to her cookbook adding an American twist to incredible Indian dishes. The book is full of exciting Indian flavors we all love and each recipe is made approachable for the home cook. Think Masala Chicken Wongs, White Chicken Curry Pot Pie and Po’Boy with Fried Shrimp. Every single recipe is presented with beautiful photography that will make you drool. Of course, I had to go straight to the dessert section. 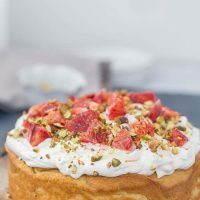 This orange chiffon cake with pistachio-cardamom swirls stood out immediately as I was intrigued by the combination of all these flavors. I mean, oranges and pistachios? 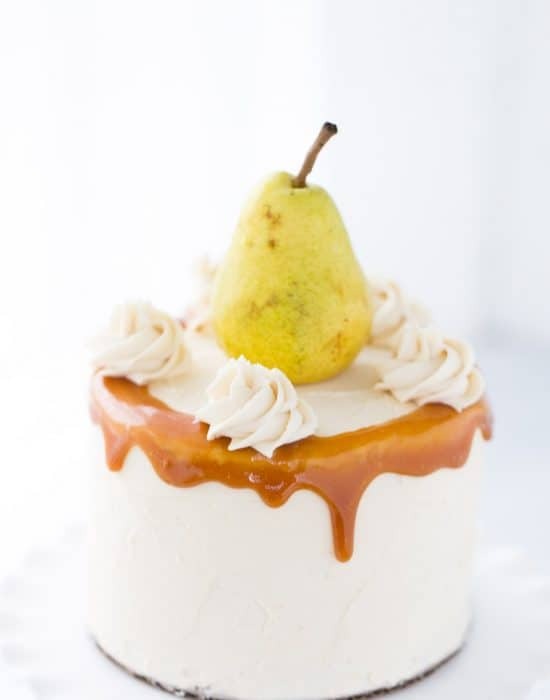 I would have never thought of it but from the taste of this cake, they are a match made in heaven. I used blood oranges because I had some leftover after this blood orange meringue pie and it was a great fit. 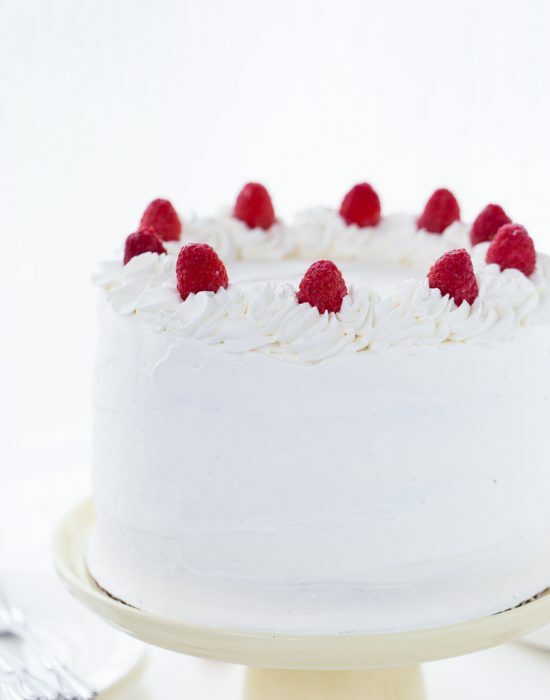 This cake is simple, airy, yet rich and moist. An incredibly rustic, no-fuss cake that’s perfect for any celebration. 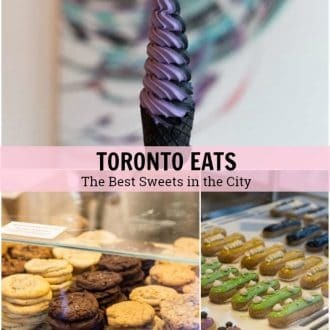 I can’t recommend this cookbook enough to you. If you LOVE Indian cooking and didn’t know where to start, then this is the cookbook for you. It will guide you through familiar recipes with authentic Indian flavors. 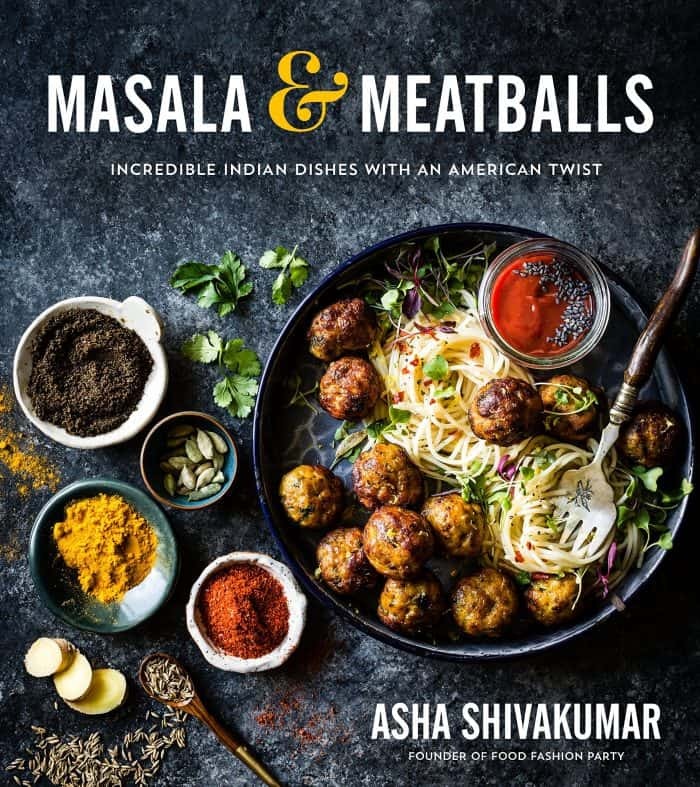 On the other hand, if you are an experienced Indian cuisine home cook, leave it to Masala & Meatballs to bring creative recipes to your kitchen that will wow your friends. Grab a copy on Amazon today! In a small bowl, soak the pistachios in water overnight. Drain, pat dry with paper towels and blend into a fine paste in a food processor or blender. Set aside. 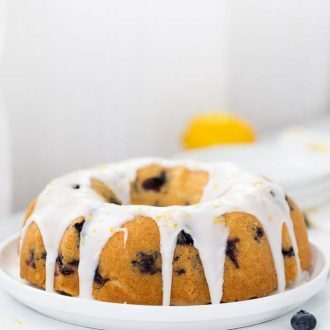 Preheat oven to 325 degrees F. Grease an 8-inch round cake pan with baking spray and line with parchment. Grease parchment. In a large bowl, sift the flour, cornstarch, confectioners’ sugar, baking powder, cardamom, and salt. Using the bowl of your stand mixer, whip the egg whites to soft peaks. Transfer to another bowl and clean the bowl of your mixer. Beat the egg yolks, oil, orange juice, orange zest and vanilla extract on medium speed until combined in the bowl of your mixer. Add the dry ingredients and mix on low speed to incorporate. Gently fold in the egg whites, in 3 separate additions, until well incorporated. Scoop out ½ cup of the batter and set aside. Pour the rest of the batter into the prepared cake pan. Add the pistachio paste to the reserved batter. Fold in until incorporated. This reserved batter will now be green. Pour the pistachio mixture in a circle over the plain batter in cake pan. 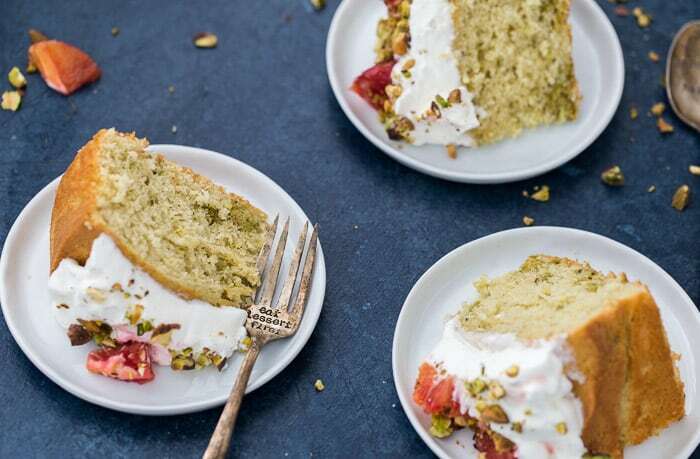 Swirl it around carefully with a toothpick.Top batter with slivered pistachios. 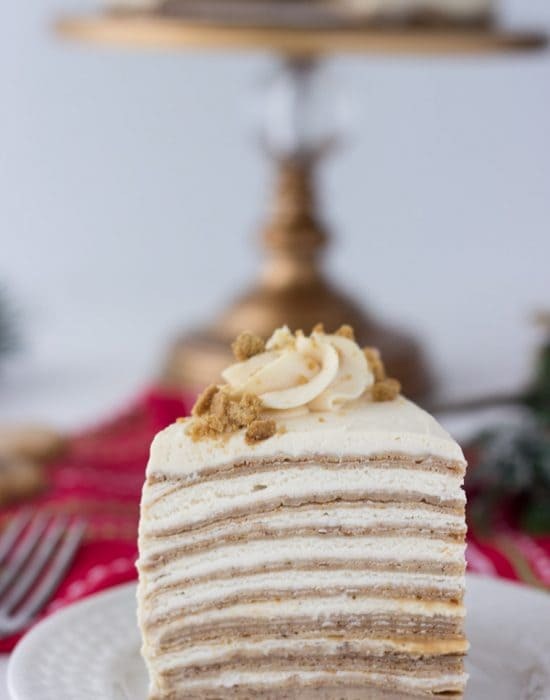 Bake cake for 40 to 45 minutes or until a toothpick inserted into the center comes out clean. 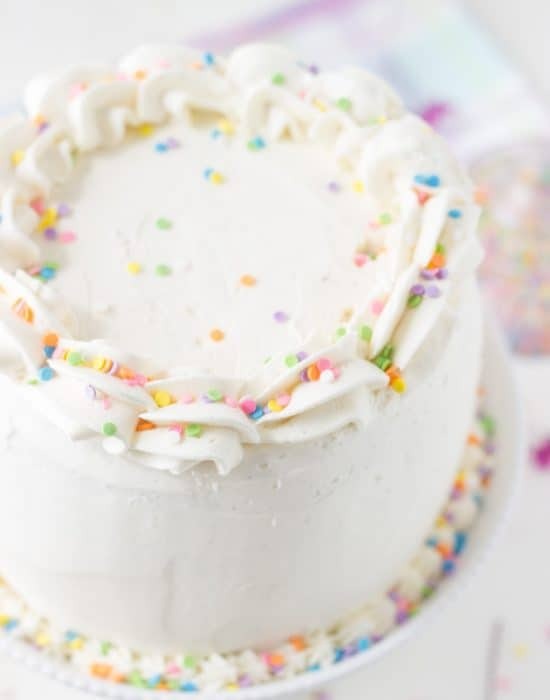 Let cake cool for 20 minutes before slicing. 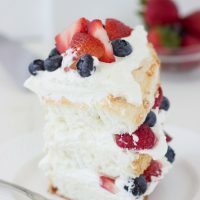 Serve with whipped cream and fresh oranges, if desired. Thanks Ashley! It was so gooood! Omg my darling friend, how very kind of you. You made my heart sing with happiness. Thanks for your love and look at the stunning photography of the cake. I’m thrilled you loved it and even more thrilled about your thoughts on the book. I’m truly blessed to have have such wonderful people like you in my life. Hi Asha!! I loved your book and enjoyed baking from it. 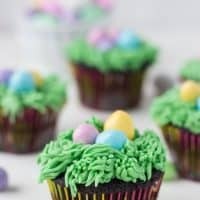 I know we have more recipes bookmarked to make! 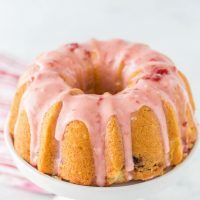 i never tried chiffon cake.. it looks super moist and spongy.. 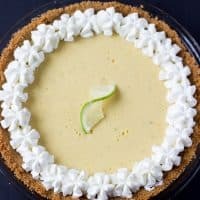 I love the flavor of cardamom but never tried in cakes. this is a must try recipe. Cardamom is great in baked goods especially cakes and pies 🙂 I hope you try it! Oooh, what a fun combination of flavor! 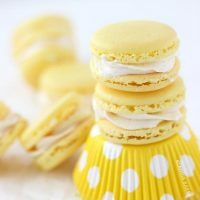 It’s perfect for a spring dessert! thanks, Liz! It is a true favorite. Gorgeous ! Pinning and sharing.